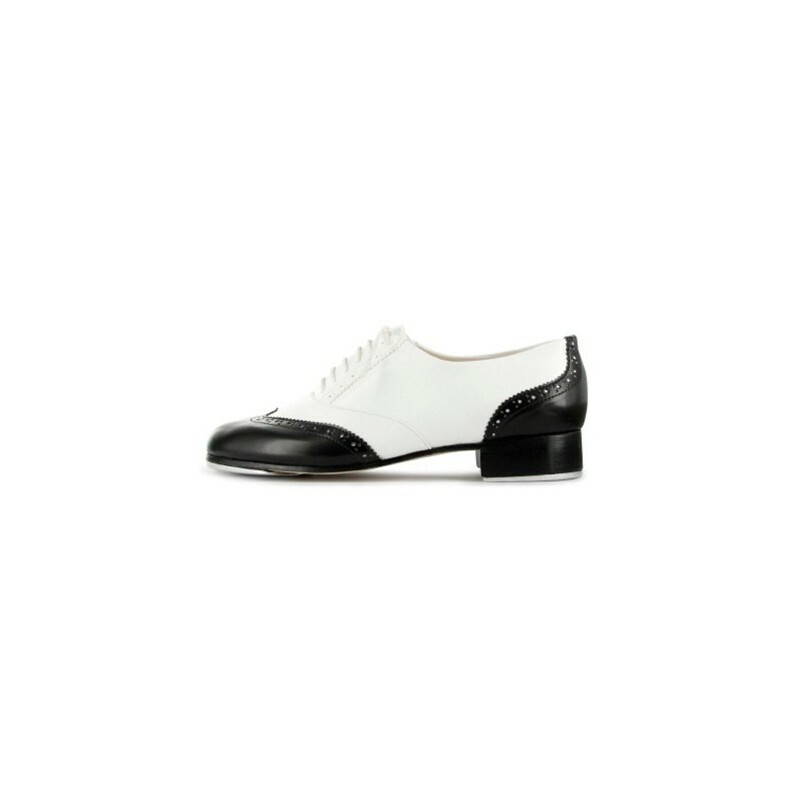 Black & white synthetic upper, heel 2 cm. Fitted with Bloch taps (screwed in back, riveted in front) - light and very comfortable shoe, easy to wear! Please, read the "How to order your tap shoes" page before continuing! Order-info: lenght of foot + 1cm = your size!